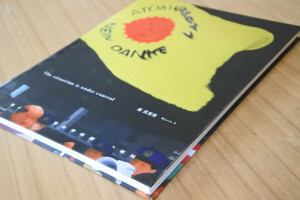 The 5th Printing is now on sale ! 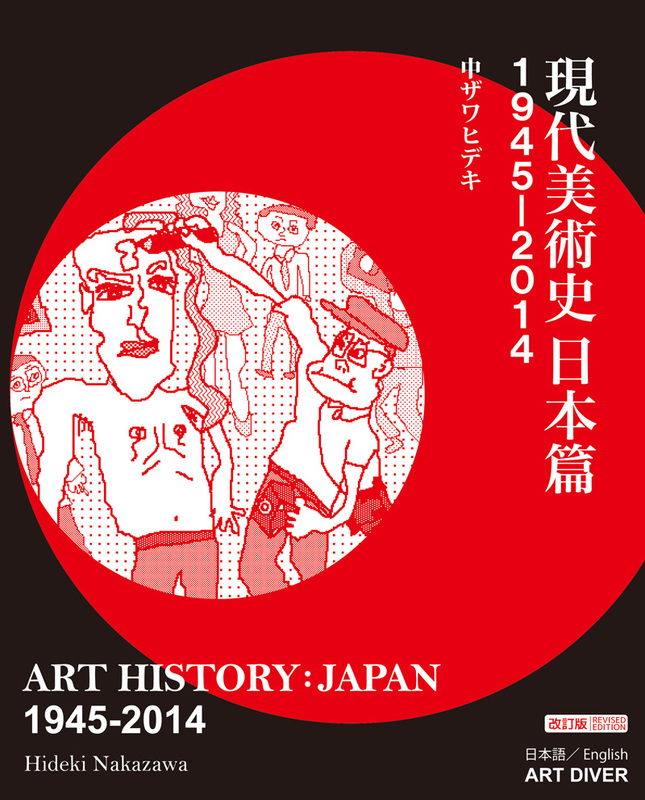 “ART HISTORY JAPAN: 1945-2014″ offers a historical perspective to comprehend dynamisms of Japanese art since 1945, exploring the nearly 70 year postwar art history with both established and more up-to-date examples such as Taro Okamoto, Tadanori Yokoo, Yayoi Kusama, Takashi Murakami, Yoshitomo Nara, Chim↑Pom, Chaos*Lounge and so on. 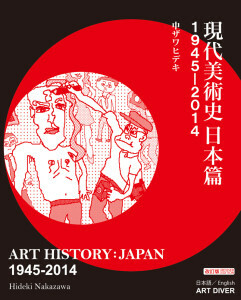 The book covers an unprecedentedly long period of postwar Japanese art from 1945 to this day in the author’s ambition to write “the only authentic history of Japanese contemporary art.” Chronologically chasing developments of various artistic styles and movements in details, the author demonstrates certain patterns recurring over the course of time and integrates those otherwise dispersed practices into a coherent cyclic history model. 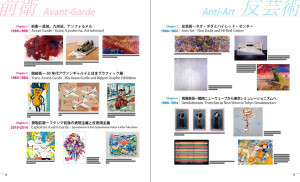 The first edition in 2008 attained much attention in art communities, domestic and oversea alike, but the limited publication was shortly sold out while leaving enthusiastic anticipation for the second edition. This second edition is published not only to answer the immediate need but also to enhance the contents by extensively revising the book and newly adding Chapter 8 devoted to up-and-coming movements in contemporary art in Japan since 2008. 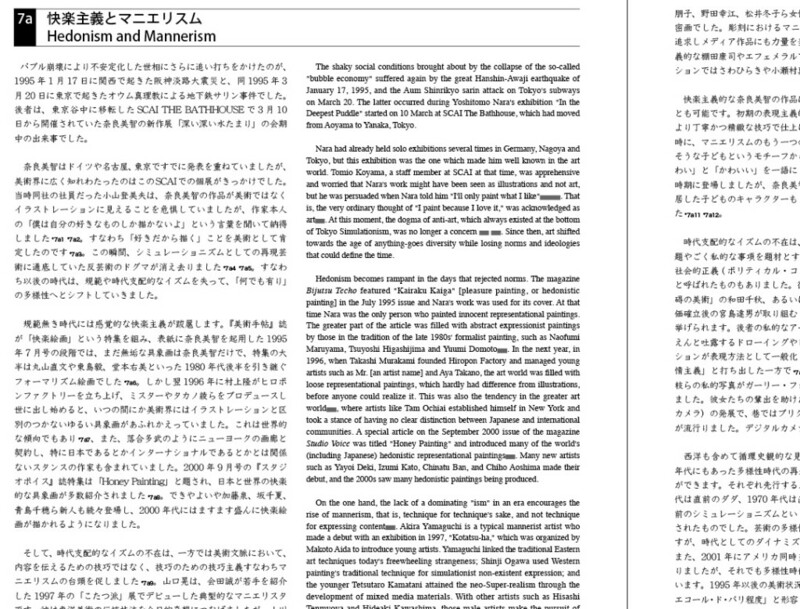 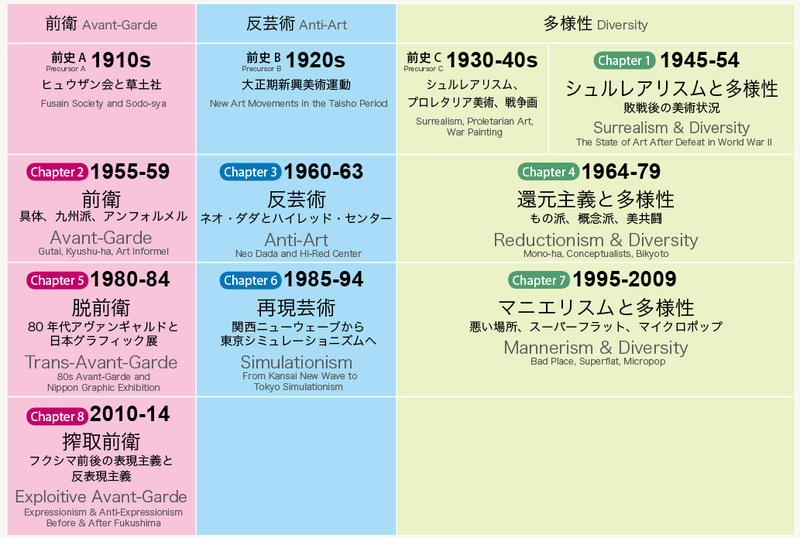 The depth and wide spectrum of arguments in “ART HISTORY JAPAN: 1945-2014″ will serve both serious art watchers and those who want to know more about contemporary art in Japan. 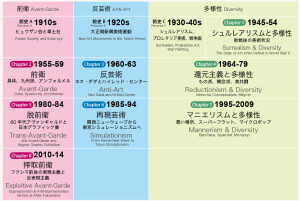 As a growing number of global audience has discovered Japanese contemporary art, it is fairly fruitful to look through and reflect on its postwar art history now for better understanding and more informed discussion. 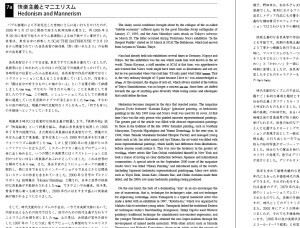 Mario A "The situation is under control"